Welcome to Limitless BJJ: How Can We Help You Today? • Check out our Academy’s history & lineage. • Hear from some of our 80+ 5-star online reviews. • Check out a brief video from when WKRC Local-12 visited. • Learn the deeper philosophy behind Limitless BJJ & Fitness. • Sign-up to try your first class for free. • You can try both one BJJ class and one Muay Thai class. • Classes are beginner friendly. Anyone is welcome. • No special equipment required. Just come ready to train! Are you looking for Brazilian Jiu Jitsu or Muay Thai in Cincinnati? • The best Cincinnati Brazilian Jiu Jitsu, taught by World-Class Black Belt Instructors. • The best Cincinnati Muay Thai classes, taught by former Pro MMA Fighter. • Over 20+ Weekly Classes & Open Mats, every single week. • A professionally outfitted 3500ft2 training facility in convenient Walnut Hills location. Sign-up online and plan your visit to the gym by clicking below. The video above includes great live action shots from our 3500 ft2 location in Walnut Hills, Cincinnati. This was filmed at our Grand Opening of the Florence Ave location. We’re still located here today, so check us out with a Free Intro Class by signing up online! • Get to know the Limitless BJJ Team. • Read the Bio & Background of Head Instructor, Robby Malof. • Learn more about our Muay Thai instructor’s pro fight history. • Meet the Instructors of our Beginners BJJ & Kids Classes too! • Take a look at dozens of high-res photos of our Gym. • Feel like you’re actually in our 3500 ft2 facilities. • Get directions to our conveniently located Gym in Walnut Hills, Cincinnati. • Learn more about our awesome Gym Sponsors, like Garden of Life & Fuji Sports. • Want to see if Limitless BJJ & Fitness is the right gym for you? • Ready to try out Brazilian Jiu Jitsu and / or Muay Thai? 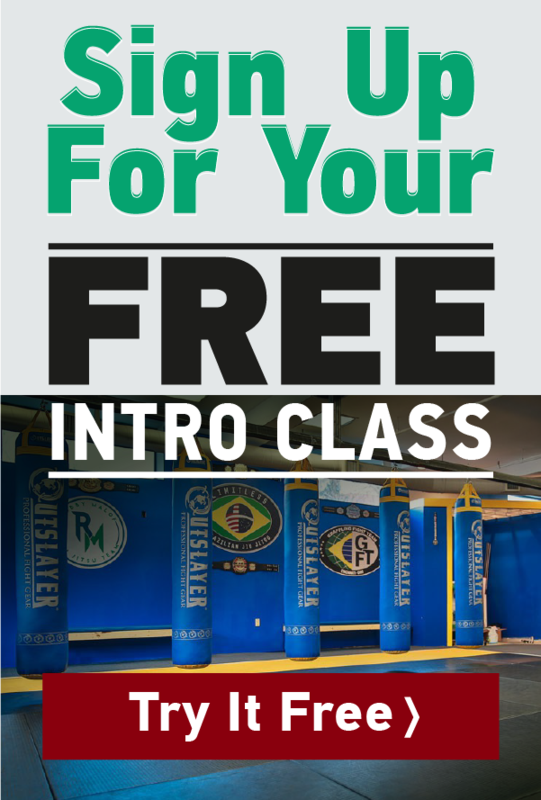 • Sign-up for your Free Intro Class online here, and we’ll see you at the Gym!